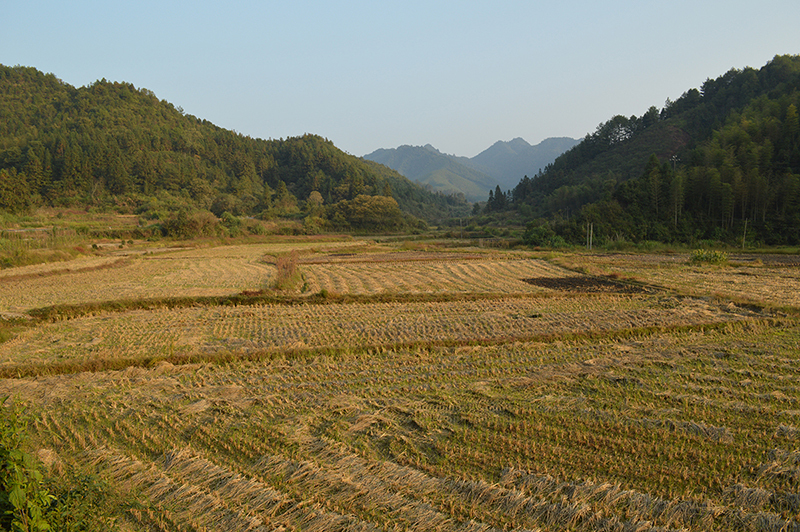 The past week has been eventful with travel to several villages and cultural sites in the Huang Ling Valley of Jiangxi Province. I began with a visit to the village of Likeng where I stayed for three nights. Initially, I arrived with several fellow students from West Virginia University, although they decided to return to Jingdezhen the following day. 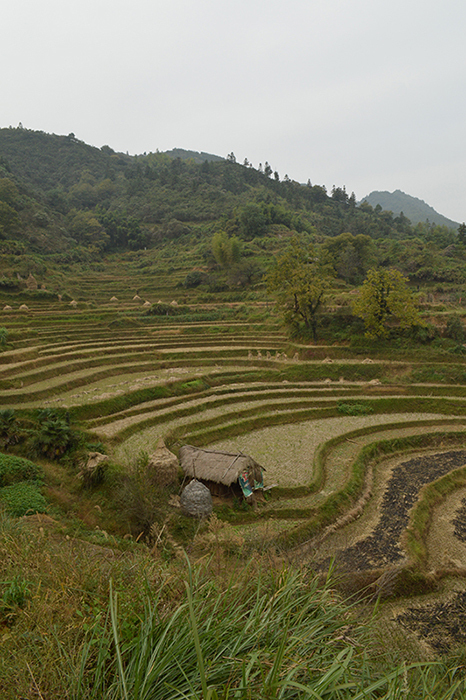 I stayed on to explore some of the local villages and the countryside. In Likeng, I made the acquaintance of Kevin Xu, a twenty-four year old Chinese citizen who had been living and working in Toronto for the past two years. Kevin had taken leave from his engineering job to travel around China for several months. His English/Chinese language skills proved a valuable asset for logistics of travel and for visiting with the people we meet. Kevin and I joined with a Dutch couple to hire a taxi to several villages, cultural sites, a cave, and a hiking trail. 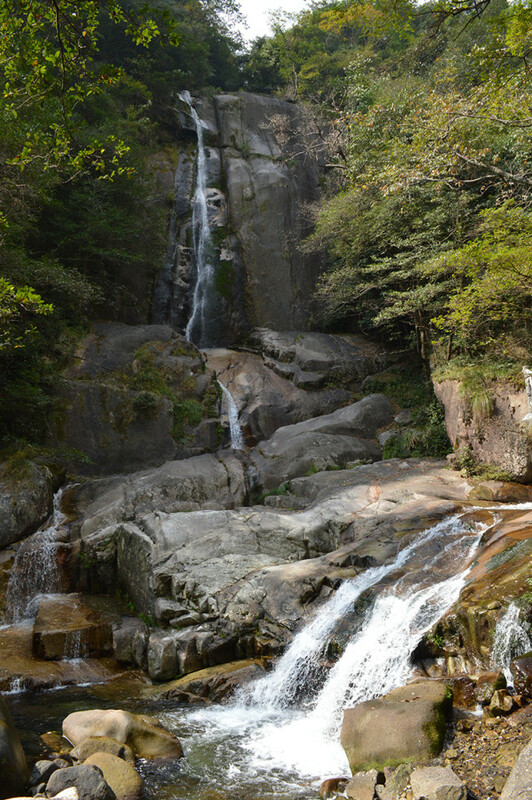 Several photographs of the day-trip are provided below. 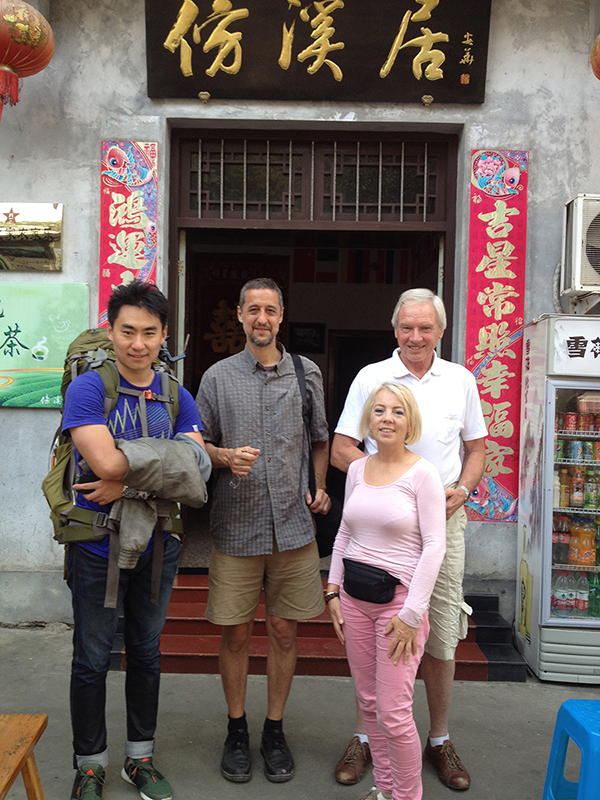 After our stay in Likeng, Kevin and I decided to visit the village of Huangling. It is perched on the side of a mountain overlooking a spectacular terraced agricultural valley. A cableway moves visitors from the valley floor up to Huangling. 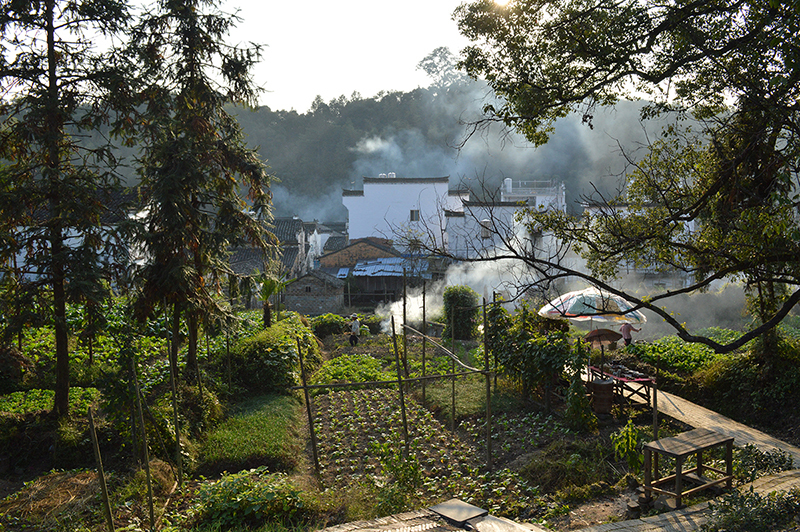 The village maintains its agricultural roots of more than 600 years. 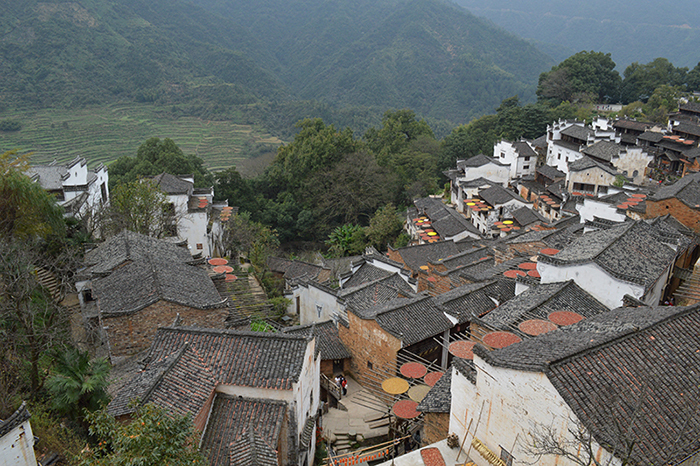 The buildings have been meticulously restored and repurposed to provide an authentic village experience for visitors. 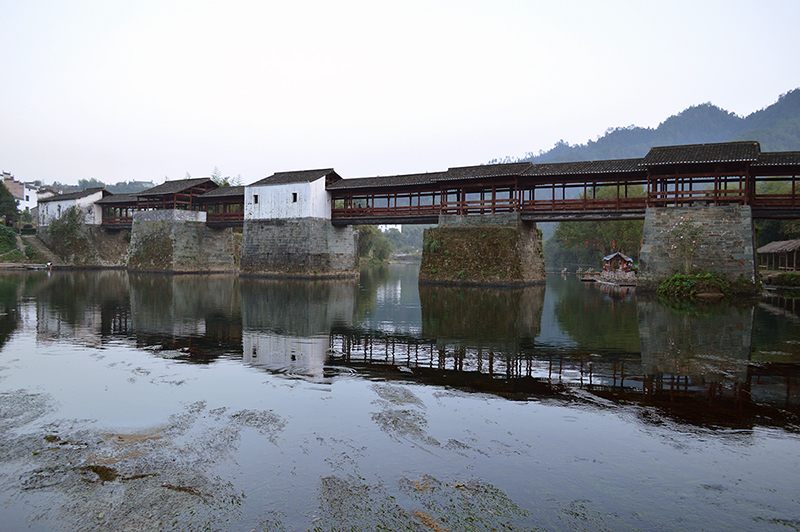 The design and implementation of the restoration work was thoughtfully done to maintain the historical nature of Huangling. Modern amenities have also been provided, including two bridges that span the valley, restaurants, and shops. We met a Chinese women, Joyce (her ‘English’ name) who was managing the village reading library and doing field research related to her doctoral studies in tourism. She arranged for us to meet the manager of Huangling, who extended an invitation to Kevin and I to stay for the evening, have dinner, and be taken on a guided tour of the village the following day. Joyce asked if I would be willing to be interviewed about my impressions of the village to help with her doctoral research. We accepted the generous offer and stayed in a beautiful room in a restored building. The next day we walked around Huangling with the benefit of a guide who showed us some of the prominent residential and public buildings as well as several of the original structures awaiting restoration. We ate lunch with the owner of the Huangling development, Mr. Wu, who explained how the village had been transformed from a farming community to tourist destination with a focus on historic preservation. After lunch, I answered some questions prepared by Joyce and offered my impressions of the transformation of the village. We talked about the benefits and challenges of converting an agrarian village into a tourist destination. Mr. Wu arranged to have a guide take Kevin and I to one of the older villages within walking distance where we observed the contrast between a traditional village and the upgraded Huangling. I was left wondering how a balance can be reached between preserving a simple agrarian life-style with the need for economic development and historic preservation. I am grateful for the hospitality extended by the Huangling village management during our visit. Looks and sounds amazing ! Go get’m Champ ! Good to see you are following my China blog. Amazing sites and experiences happen everyday. Thanks so much for these insights, Glen. I understand from LeeAnn that you are already planning a return trip to China. How wonderful! That’s a beautiful place, Glen. But Coach Dutton wants to know why you are over there, and why you are missing so many classes of Basic Math. Because Chinese mathematics is more interesting than ‘new math’. Incidentally, Coach Dutton would be very displeased with the state of the Chinese football team. Looks very tranquil, peaceful and clean. Hope your soul is being rejuvenated. I have enjoyed all your posts thus far. Hope you are enjoying your adventure and am sending you good vibes!